The dark nights are settling in now and soon the winter coats & scarfs will be coming out. I love our seasons and whilst I am sad that summer is well and truly over, I am looking forward to Halloween, Bonfire Night and Christmas! 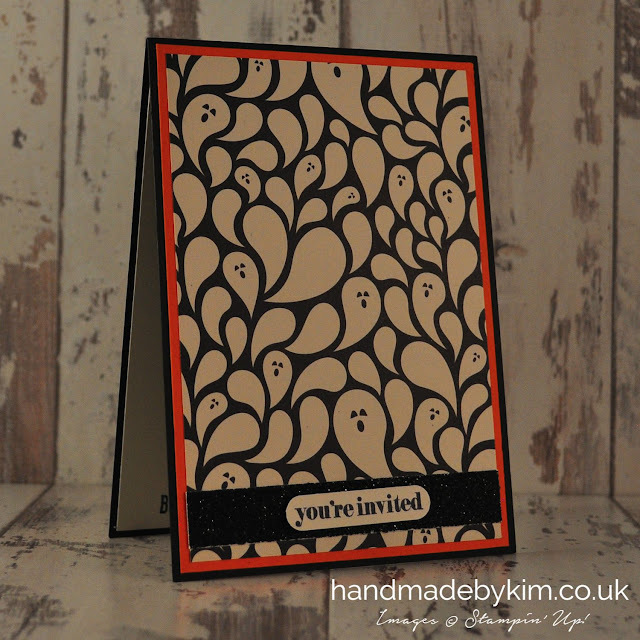 With Halloween just over a month away, I decided to make some Halloween Invitations. I'm not having a party but I wanted an excuse to make some Halloween Cards. Here in the UK we don't give cards at Halloween but I still wanted to make some so I thought I could make the cards invitations instead. 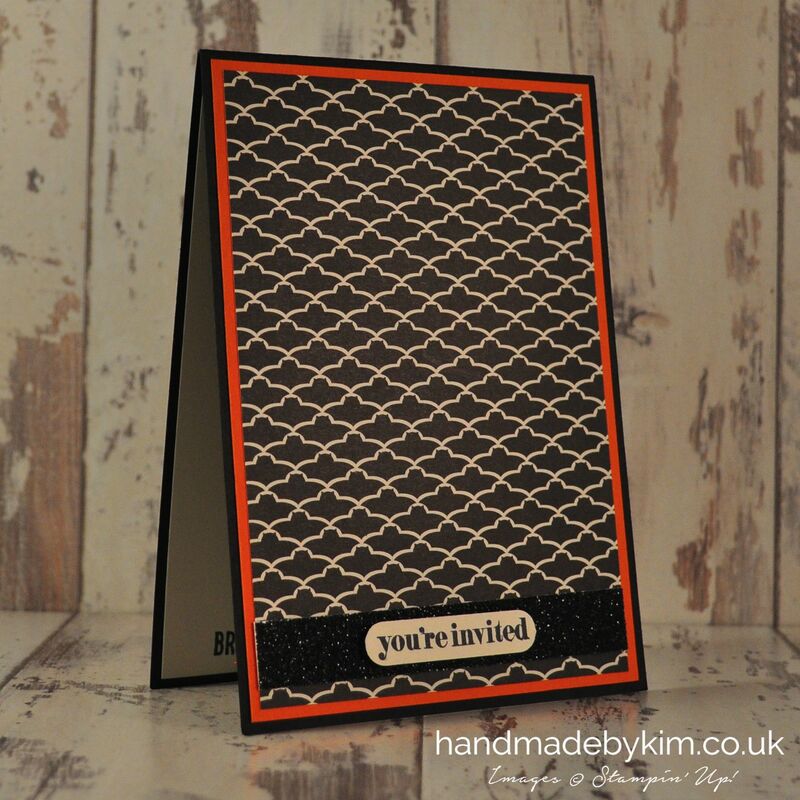 I added a strip of Black Glimmer Paper to the bottom of the card and added You're Invited using the A Dozen Thoughts stamp set and the Word Window Punch. 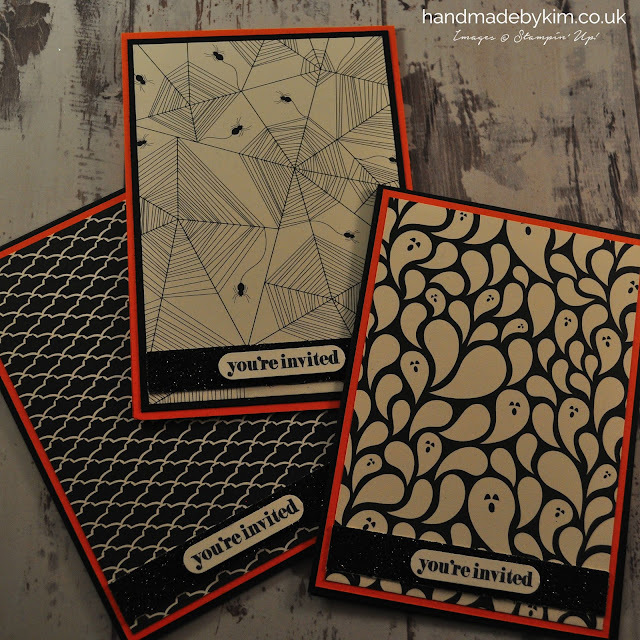 This years Halloween themed Designer Series Paper is just spooktacular. The colours Basic Black, Very Vanilla and Tangelo Twist ooze Halloween and look striking together. The designs are so great they really don't need much adding to them. 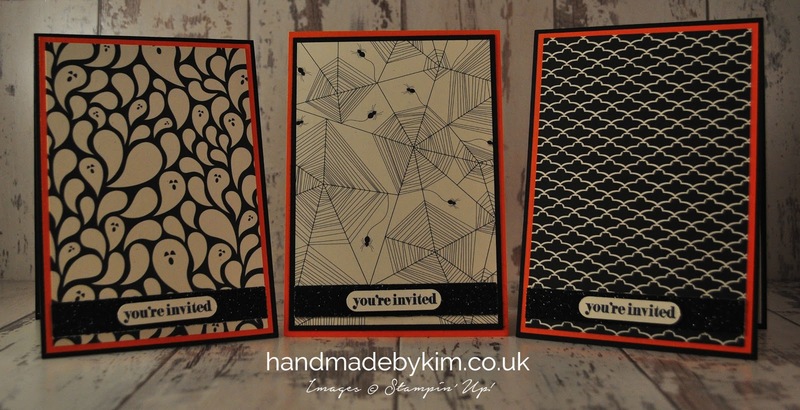 I love the bats, ghosts & spider patterned paper I've used in these cards but there are some other great patterns in the pack of paper such as the gravestones & crows and the Tangerine Tango stripes. In each pack of Happy Haunting DSP, you get 12 sheets of 12" x 12" paper. The pack includes 2 sheets of each of the 6 double side designs and it only costs £10.00! You can also buy a pack of coordinating cardstock for £6.50 which contains 24 A4 sheets of cardstock. 8 sheets each of Basic Black, Tangelo Twist, Very Vanilla. There are so many projects you can make with this DSP. Above are some ideas the creative gurus at Stampin' Up! have featured in the Autumn Winter Catalogue. 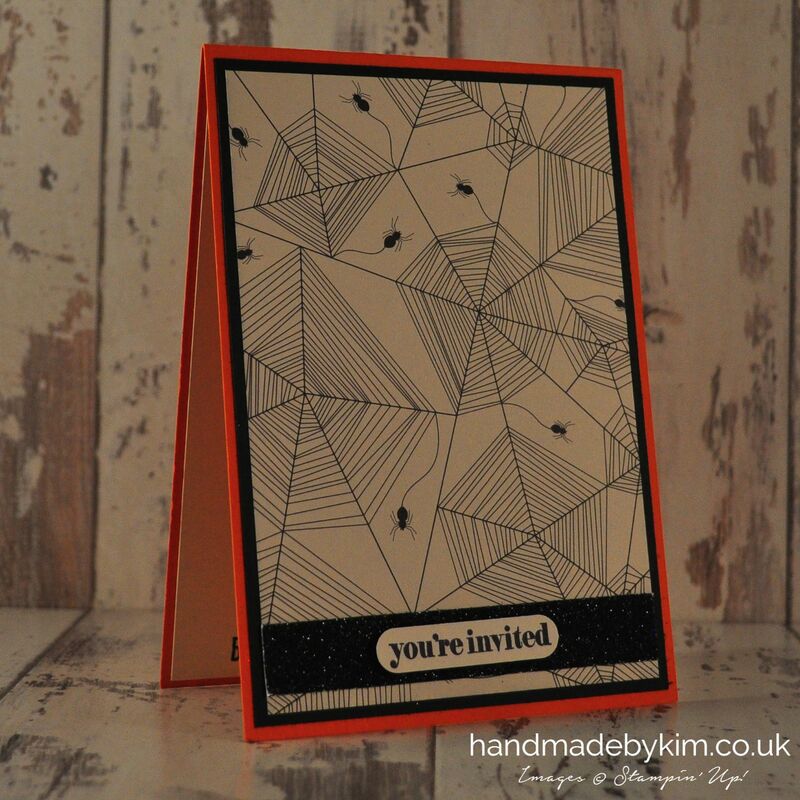 If you would like a catalogue, please let me know by sending an email to info@handmadebykim.co.uk.